Being waited on hand and foot now comes at an affordable price in Tokyo. 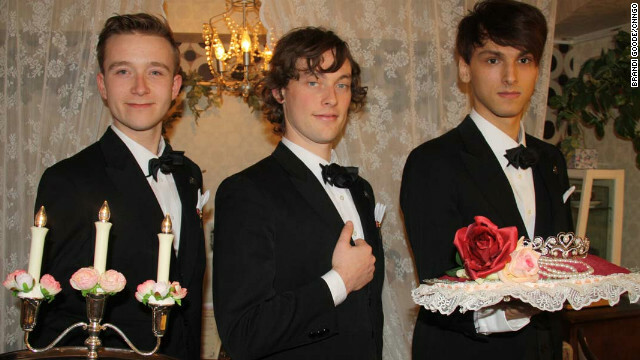 A new butler-themed cafe in the Japanese capital is proving a hit with young females in search for a relaxing afternoon, an English lesson and just as importantly the chance to interact with friendly foreign men. Shibuya's "Butler Cafe" in the heart of the city has surroundings that bring to mind a Victorian grandmother’s sitting room, with classical music, ample accents of lace and more hearts and roses adorning the furniture than can possibly be counted.